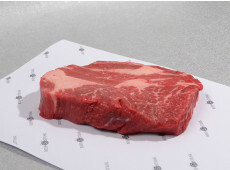 The chuck eye steak is also called 'Poor man's rib eye' . The chuck eye looks a lot like the rib eye, but than a little cheaper. If you have any questions you could reach us at phone number 0172-577147, or you could send an email to info@beefensteak.nl.